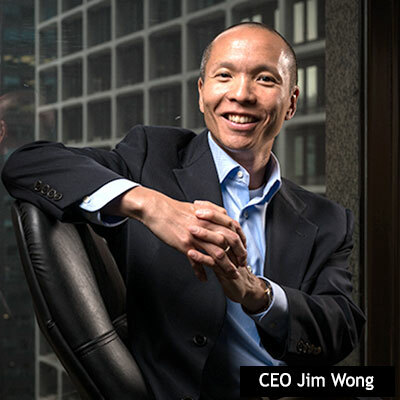 Jim Wong is the founder and CEO of Brilliant, a Chicago-based firm that specializes in search, staffing and management resources for accounting, finance, and information technology. In 2015, the company topped the Crain’s Chicago Business Fast 50 list as the fastest-growing company in Chicago, and for the second time was named one of Chicago’s Best and Brightest Companies to Work For by the National Association for Business Resources. With a staff of 59, Brilliant had an annual revenue of $21.6 million in 2014 with a five-year growth of 27,147 percent, according to Crain’s. “We want the companies we work with to place a high value on the people they hire. These are the companies that we will impact the most with our services. Our mission is to make people’s lives better, and we try to do that everyday,” said Wong.